Visit the Official University Book Store. Click here to visit the iTunes store and download the Clemson Bookstore App. Download the bookstore app to order textbooks and merchandise, track your shipments, get reminders on bringing back rental textbooks and more. The bookstore is proud to introduce Clemson's first ever graduation gown made entirely from recycled material. The gown is made from 23 10 oz. plastic bottles. The "Green Weaver" gown looks and feels elegant, and is quite comfortable. $3 of every recycled gown purchase will be donated to the Clemson University sustainability effort. Clemson's sustainability program information can be found here. May Graduates can order online, or stop in the store for their regalia. Online ordering for Bachelor and Master regalia begins February 4th, 2019 and ends April 22nd, 2019.Online Ph.D. regalia rental orders end March 11th, 2019. In store Ph.D. regalia rental orders end April 18th, 2019. Ph.D. purchase orders end March 11th, 2019. Please note that we stock bachelor and master regalia in the store year round. You can stop by the store at your convenience to purchase yours. Attention: Unless you select to have your regalia shipped to your home, your regalia will ship to the bookstore, where you can pick them up no later than 4 p.m. on graduation day. Class rings are purchased through the Alumni Center. Contact Randy Boatwright at 864-656-5671 to order your ring. Honor stoles are ordered through Omicron Delta Kappa. Contact them at clemsonhonorstoles@gmail.com. Thanks for joining us. We’re excited to introduce you to FacultyEnlight™, your source for researching, adopting and sharing insights about textbooks and course materials. In response to conversations with faculty from multiple disciplines at campuses across the country, we created FacultyEnlight™ to make it easier for you to research, discuss, discover, and adopt learning materials. Our goal is to help you choose the best materials for your courses so that your students’ learning experience is the best it can possibly be. SEARCH: See what’s new in your discipline and what’s being used at other schools. Search books by ISBN, author, and/or title. At the same time, explore cost saving options for your students by viewing which books are available in digital and/or as a rental. As a registered FacultyEnlight™ user you have the option to create “favorite” lists, a time saver that enables you to view and/or adopt books at a later date. ADOPT: Submit your course materials adoptions here. We’ve simplified the process for you to make it easier and quicker to enter your information for one course or multiple courses. Registered users can return to their adoption lists in subsequent terms for easy re-order. DISCOVER: Explore the latest faculty resources that can help you in your mission to create outstanding learning environments for your students. From self-publishing, to custom course packs, to digital resources and e-books…you’ll find it all here. LEARN: Find answers to frequently asked questions and other tips that may help you as you explore all that FacultyEnlight™offers. To get started in your search here with FacultyEnlight™. Or, set up a profile, which will allow us to store your research history and adoption selections. 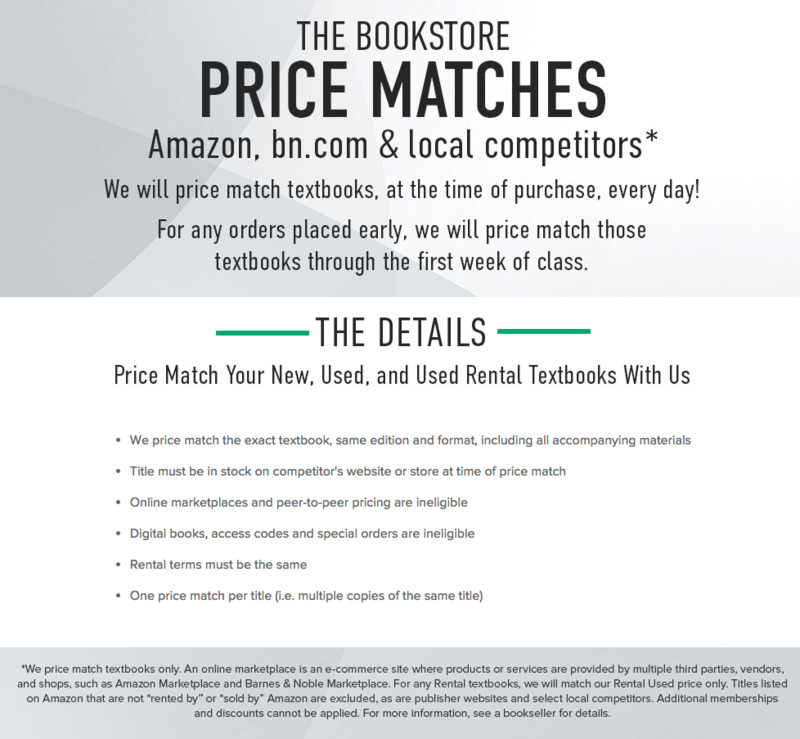 Textbook Order Form (Links to Clemson Barnes & Noble site for secure purchasing). We buy back books all year long. Visit us at the bookstore in the Hendrix Student Center or call 864-656-2050 for more information. Any after event sales must be requested in advance for manager approval. Student only events are not accepted. Book sales are to be done 45 minutes before the event. We only bring in five (5) copies per Title (unless with manager approval). We only bring in books that can be returned back to publishers (unless with manager approval). We only take credit cards as form of payment (no cash). If you are unable to find what you need, please contact our store manager for further information.